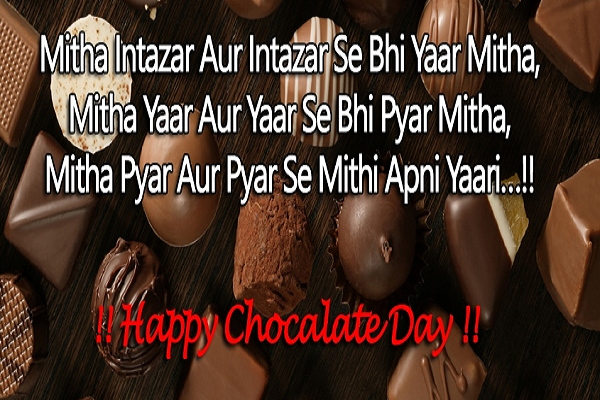 Happy Chocolate Day Shayari in Hindi 2019, Romantic Shayari, love status, beautiful Chocolate Day images for Girlfriend, Boyfriend, husband and wife: Chocolate day is celebrated on the 9th of February every year and it is celebrated with a great enthusiasm amongst the youth. Greet your loved ones by using selected wallpapers, shayaries, wishes to make them feel special. 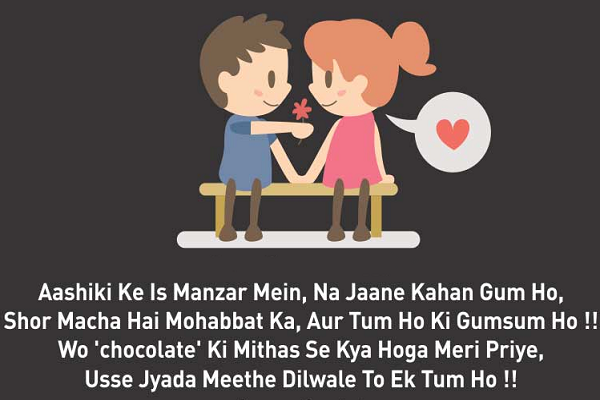 Happy Chocolate Day Romantic Shayari in Hindi 2019: As the week of lovers or you can say the valentines week has started with the rose day on 7th of February followed by propose day on 8th of February and now its time for the day of chocolate lovers as a chocolate day is a next day in the valentines week. 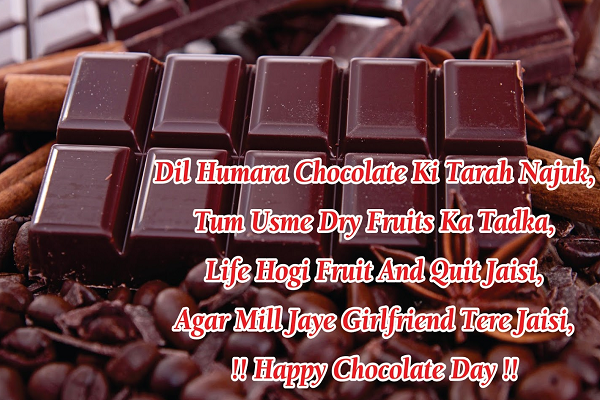 Chocolate day is the third day of the valentines week and is celebrated on 9th February. On this day couples gift chocolates to each other and Make their partner feel more special. 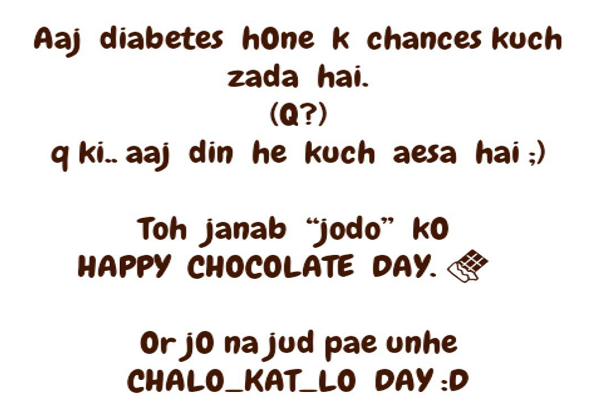 Chocolates are shared between friends also on this day. 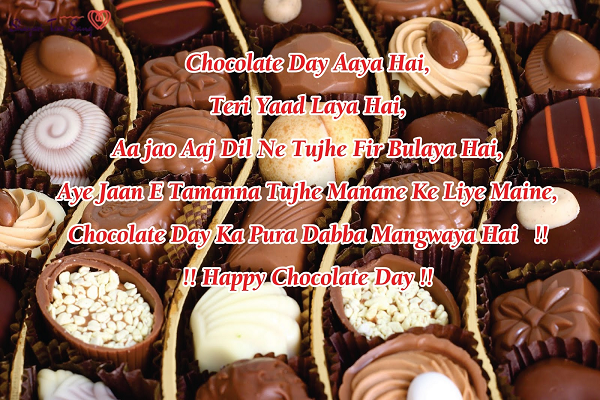 One can choose from a lot of varieties of chocolates to gift their special ones. 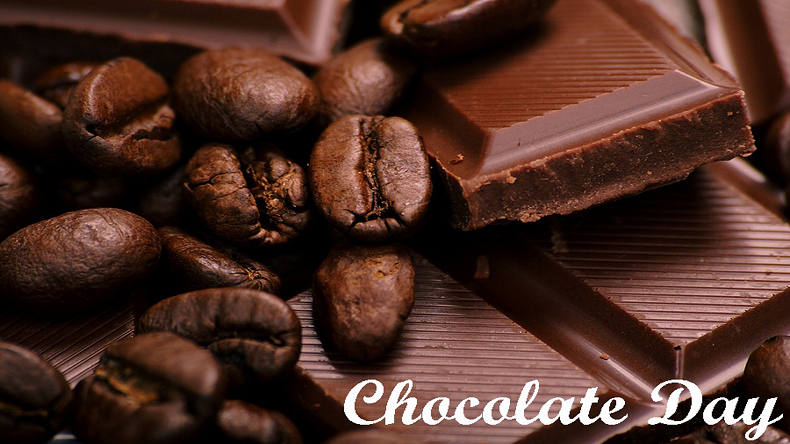 It can vary from a bar of dark chocolate to a cup of hot chocolates. Chocolate bar: Everyone loves eating a whole bar of chocolate. 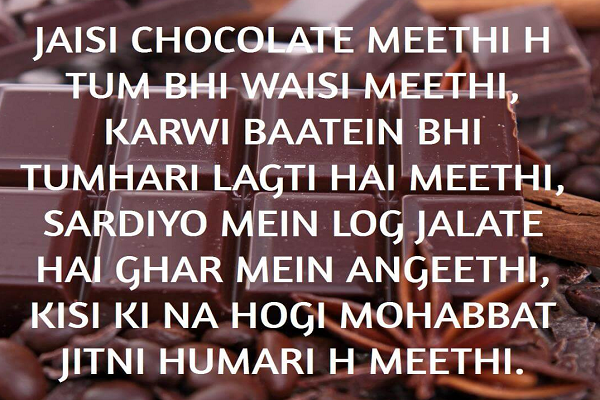 You can celebrate this chocolate day by gifting a big bar of chocolate to your boyfriend, girlfriend, husband or wife. This is one of the most traditional chocolate and it makes anyone’s day special. Chocolate bouquet: You can choose all the chocolates your partner loves and make a bouquet out of it. Wrap chocolates like flowers in a bouquet accompanied with messages and gift it to your partners. If you are not in the mood to customise one, you can go for a nearby florist with the chocolates to have your work done. Hot Chocolate: Chocolate is always enough to satisfy your cravings irrespective of its state i.e., liquid or solid. You can give a heart-melting surprise to your lover by giving him a cup of hot chocolate in the morning and it will surely make them feel special for the whole day. These are some of the exciting options you can go for in order to make your partner feel special. 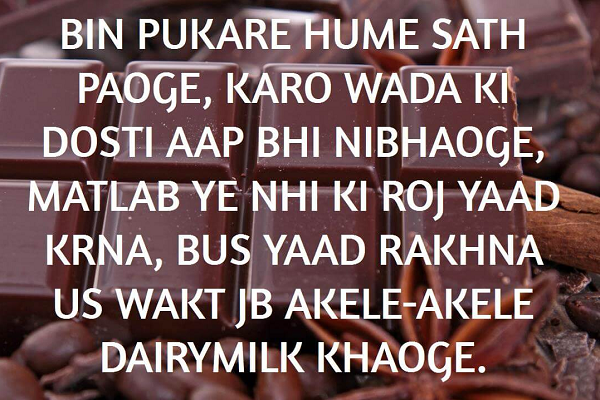 Rab Kare Aapka Pyar Aise Hi Bana Rahe Mere Liye, Jisme Mujhe Life Ka Har Wo Taste Mila Hai, Jo Alag Alag Chocolates Me Hota Hai..! 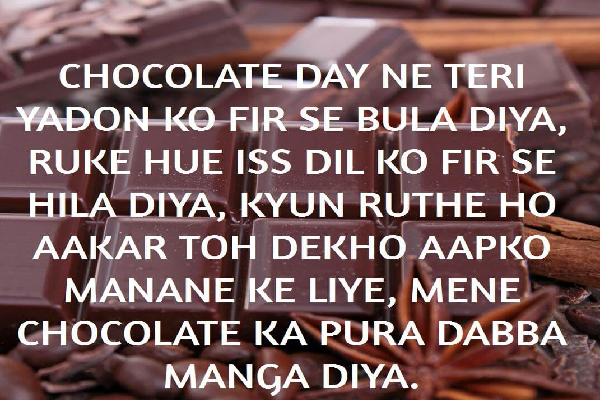 Chocolate Day Aaya Hai Teri Yaad Laya Hai, Aajao Aaj Dil Ne Tujhe Fir Bulaya Hai. 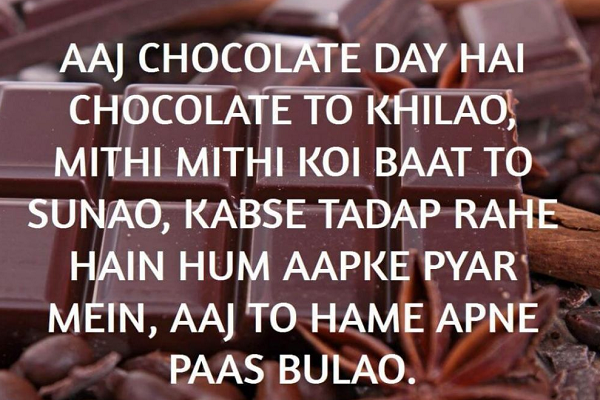 Aye Jaan E Tamanna Tujhe Manane Ke Liye Maine, Chocolate Day Ka Pura Dabba Mangwaya Hai..! “फ्री में हम किसी को गाली तक नहीं देते, चॉकलेट तोह बहुत दूर की बात है पगली |” हैप्पी चॉकलेट डे!